Cleveland Cavaliers guard Iman Shumpert posed with fans before Wednesday night's sneak preview of "Minions" at the Movies 10 in Melrose Park. 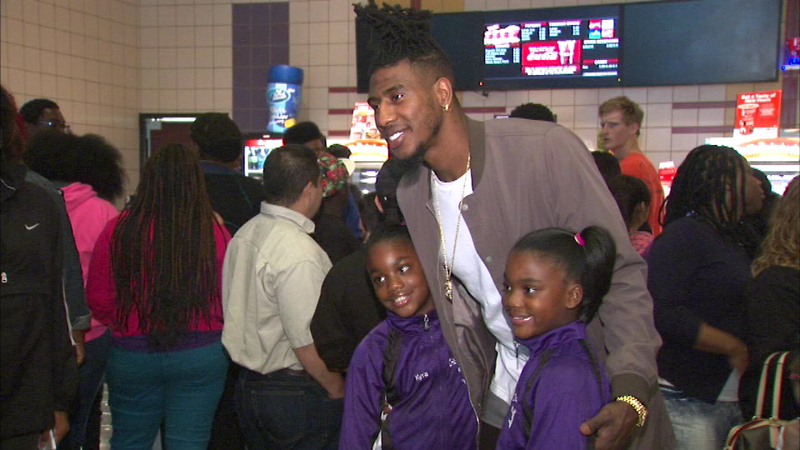 MELROSE PARK, Ill. (WLS) -- An NBA star from Oak Park treated some local kids to a night at the movies. Cleveland Cavaliers guard Iman Shumpert posed with fans before Wednesday night's sneak preview of "Minions" at the Movies 10 in Melrose Park. Shumpert just wrapped up a three-day basketball camp for those kids in attendance. The event benefited Opportunity Knocks, a local group which helps young people with developmental disabilities.